As the 2018 President’s Distinguished Graduate Award recipient, Green shared her story with fellow graduates. Be recognized for achieving beyond expectations! Given annually, this award recognizes a student who has shown exemplary leadership as well as a commitment to help others. 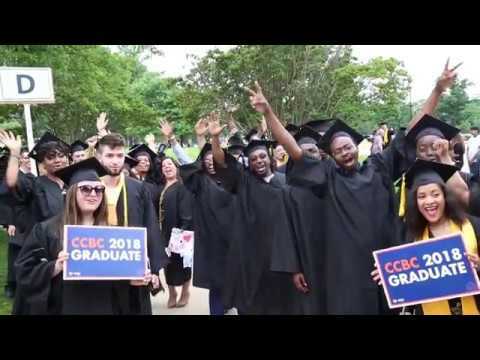 The President’s Distinguished Graduate Award recipient will be presented with the award at CCBC’s Commencement ceremony where he/she will also provide the commencement address. The nominee must be a graduating student in a degree program. The nominee should have demonstrated excellence in one or more of the following categories: leadership; academics; service; perseverance. The recipient must have a minimum of 3.5 overall GPA. 50 percent of the nominee’s credits must have been completed at CCBC. The recipient must be willing and able to speak at the graduation ceremony. The recipient must meet all of the preceding criteria. All finalists must participate in interviews conducted by the search committee. Download and complete the President's Distinguished Graduate Award application. Completed applications can be emailed to Tami Batton at tbatton@ccbcmd.edu or dropped off at a Student Life Office.